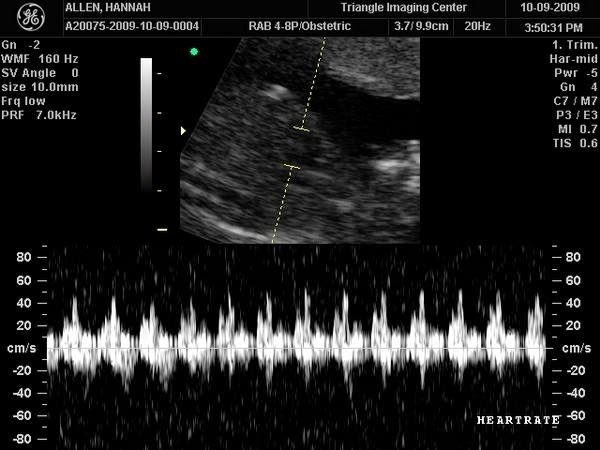 Six years ago today, on October 9, 2009, I had a 3D/4D ultrasound at the Triangle Imaging Center in Cary, North Carolina. 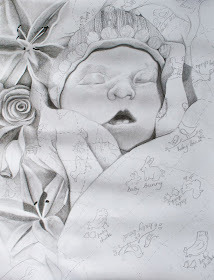 I was 17 weeks 5 days gestation at the time. 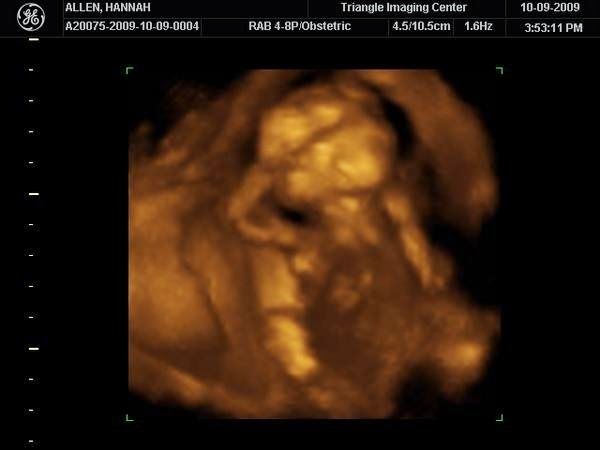 The main reason I wanted to go was to be told the gender of my baby, though I already believed in my heart she was a GIRL! 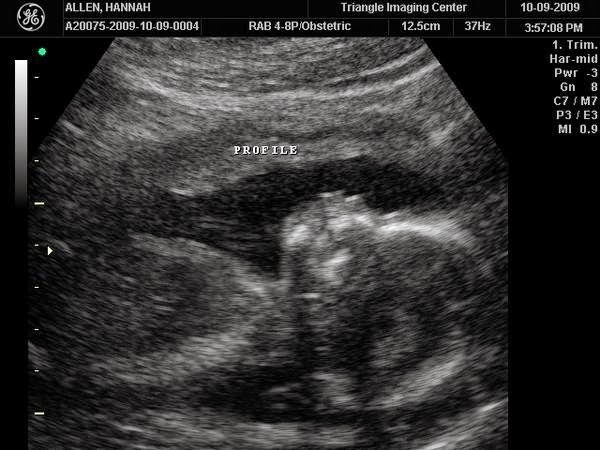 It was my second ultrasound and I (think??) 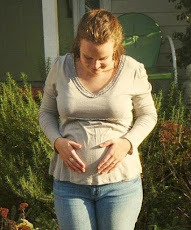 the first time I heard her heartbeat (which I have a recording of to this day, something I am soooo incredibly thankful for!). 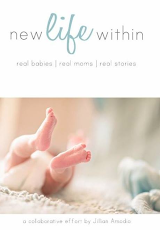 I also have a DVD recording of my entire ultrasound from that day, many ultrasound images, and a DVD recording of my mom, sister, and I in the ultrasound room. The photos below are still images taken from that video (so special to have!). 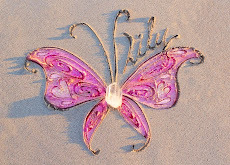 We could see Lily on both the little screen as shown in the photos, as well as on a large television screen on the wall. The cutest profile I've ever seen! She's blowing kisses! Her perfect little heartbeat. I love hearing it! 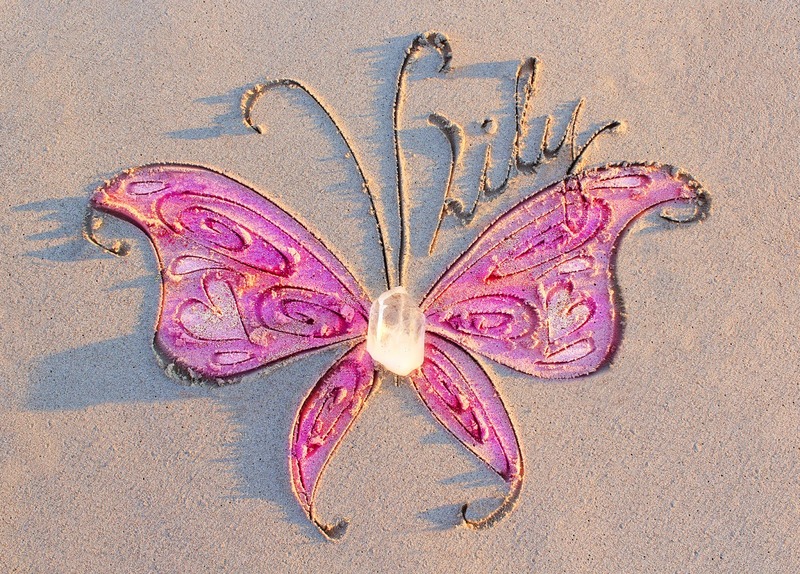 One day soon, I would like to share the ultrasound DVD I have, as well as a recording of Lily's heartbeat. These are some of the only things I have of her life to share. 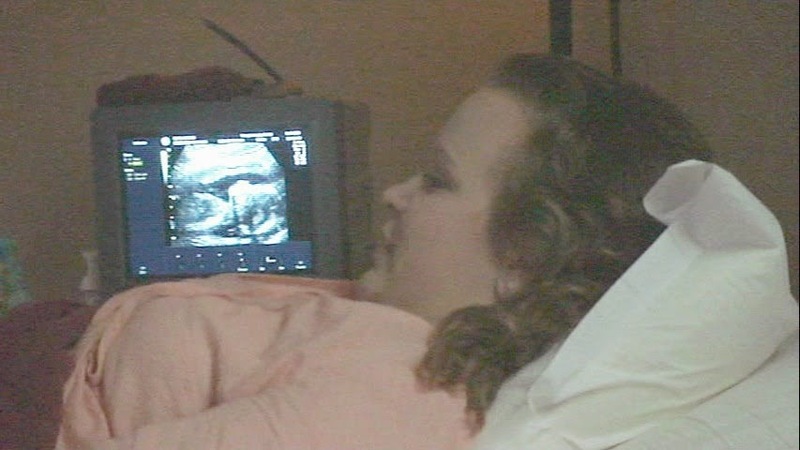 This ultrasound is the only recording I have of her while she was living, rather than a lifetime of home movies. I cannot express how thankful I am to have these things, a glimpse into the only world my sweetheart ever knew. She was real! 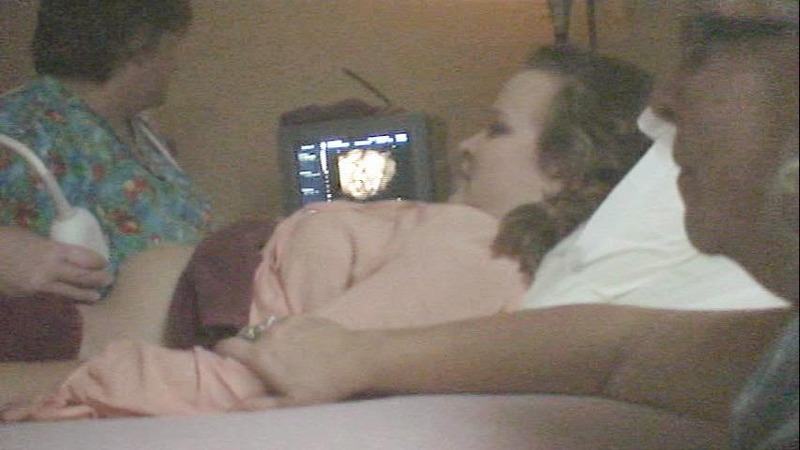 Each year on this date, I like to watch that ultrasound DVD and remember my beautiful daughter. It brings tears to my eyes to see my face light up as I'm watching my little girl dance for me. My mom is gently resting her hand on my arm throughout the ultrasound, as a physical representation of how supportive she was through my pregnancy. You can just hear the excitement and joy in our voices. It makes me laugh to hear what we were joking about, such as when my mom told the lady doing my ultrasound that she had already bought a lot of baby girl items and she was glad she wouldn't need to return them. 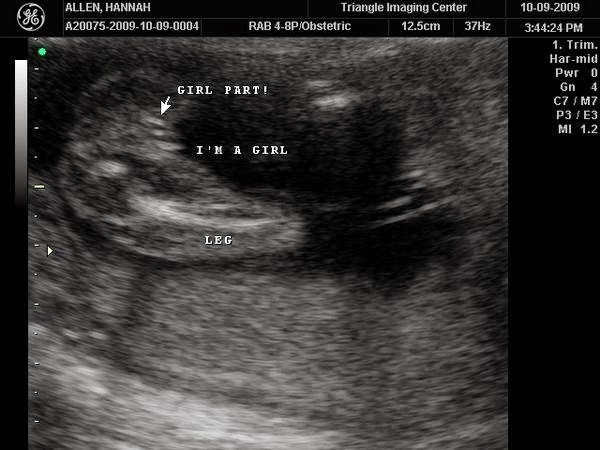 :) As you can tell, we were pretty confident Lily was a girl. And my mom was thrilled to be a grandmother and my sister was excited to be an aunt. 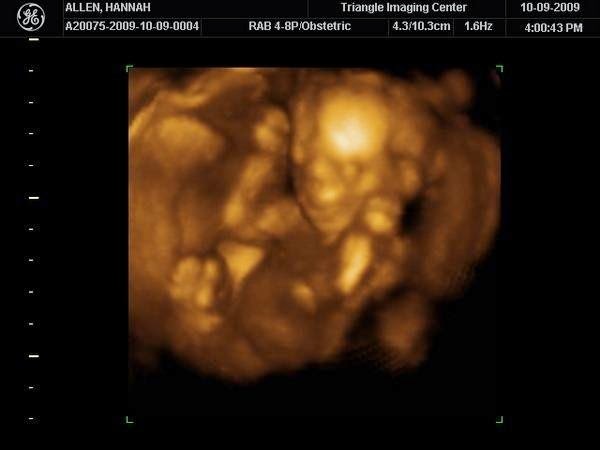 I am not even sure how we found out about the Triangle Imaging Center and 3D/4D ultrasounds, but I am so glad we did. Honestly, I believe it was orchestrated by the Lord so that He could bless me with priceless mementos from Lily's life. I do wish that I had gone again in the third trimester of pregnancy, to have seen Lily's face more filled out, so I could know her more and how she'd look as a *living* fullterm baby. "On October 9, 2009, Grandma Dukes, Auntie Em, and I went to the Triangle Imaging Center in Cary for a 3D/4D ultrasound at 3:30 p.m. The main reason we went was to find out conclusively if you were a boy or girl (though we believed in our hearts you were a girl!) It was so special to see you on the screen - very active! You were so spunky! We said you were doing your "drama queen" pose. At first, Ms. Kim thought you were a boy and we were all quiet. But then she said, "nope, she's definitely a little girl!" and we excitedly gasped. 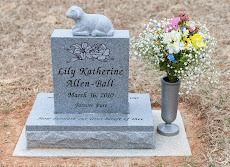 Of course, we would have been happy either way, but we just knew you were our Lily girl. Your daddy and I made a bet - he bet you were a boy and I bet you were a girl (obviously mommy won!) 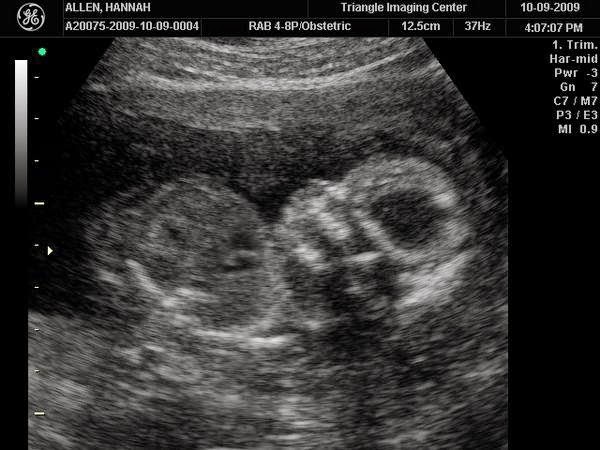 Your daddy was able to watch the entire ultrasound and listen in to our conversation online through Sonostream Live. 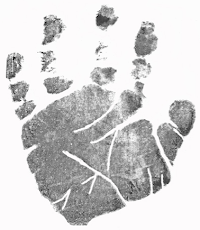 That was neat since he never got to be at an ultrasound in person. We video recorded our time there (including your heartbeat). 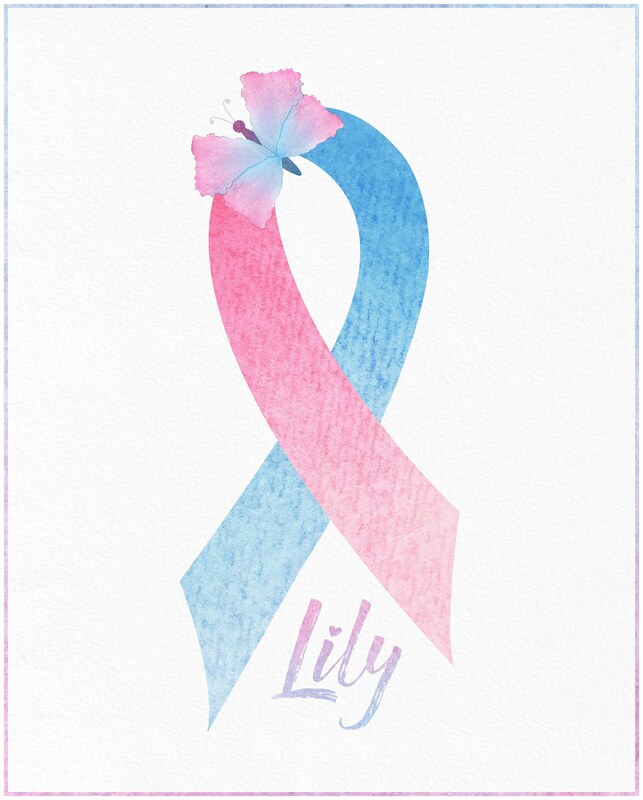 Lily's scrapbook has four full pages from this day, with pictures, memories, and other fun details and decorations, which I look forward to sharing soon when I share her scrapbook!